Lots of old-time sci-fi movies and TV shows liked to display Lissajous patterns on oscilloscopes when an authentic high tech look was needed in a scene. Every engineer, technician, and physicist in the world - me included - roll his or her eyes at the sight of such a lame attempt to impress the public. 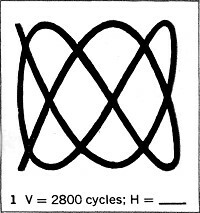 Of course the truth is the first time I saw a Lissajous pattern gyrating on an o-scope screen, I was mesmerized. The need to crank on the signal generator knobs and take control of the electroluminescent object d'art was overwhelming. Now, in the same manner that watching the first couple Space Shuttle launches was a thrill not to be missed and then became just another launch, so, too, is watching a live Lissajous pattern on a scope - it's just another Lissajous. Except, well, that's not quite so - at least for me. I always eagerly viewed Shuttle launches and landings (in the good old days when the U.S. had a manned space program), and I still can't pass up the opportunity to play with Lissajous patterns on an oscilloscope. 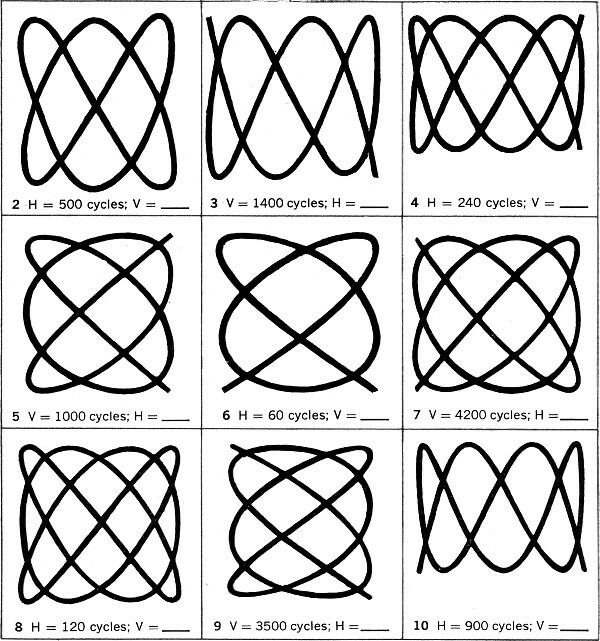 An unknown frequency can be accurately determined by analyzing the Lissajous pattern it forms when combined with a known frequency. Lissajous patterns can quickly tell you the ratio of the frequencies applied to the vertical and horizontal inputs of an oscilloscope. See if you can do problems 1-10. 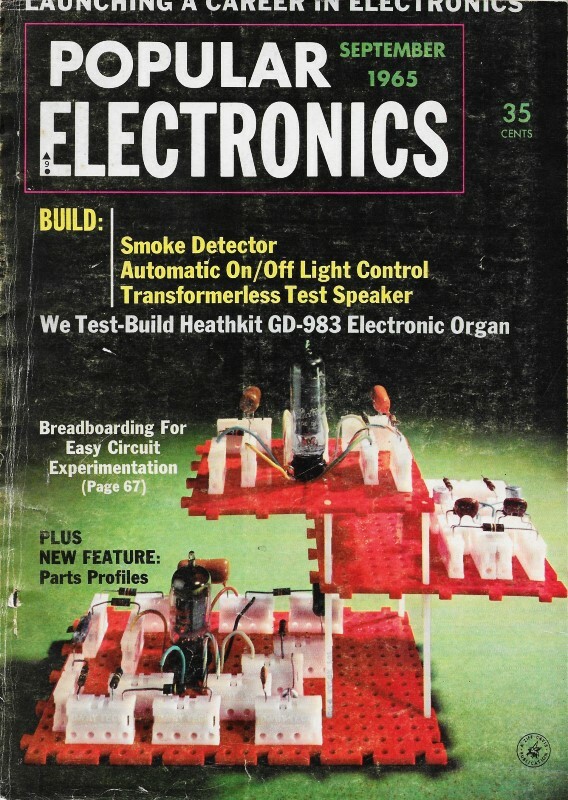 Ratios and unknown frequencies are given on page 95. (Hint) : In problem 1, for example, there are three-and-one-half vertical cycles as indicated by the peaks at the top and bottom of the pattern, and two horizontal cycles as indicated by the peaks on either side. This combination or vertical-to-horizontal frequency ratio is 3.5 to 2, or 7 to 4. Therefore, if the vertical frequency is 2800 cycles, the unknown horizontal frequency must be 1600 cycles to produce the pattern shown.